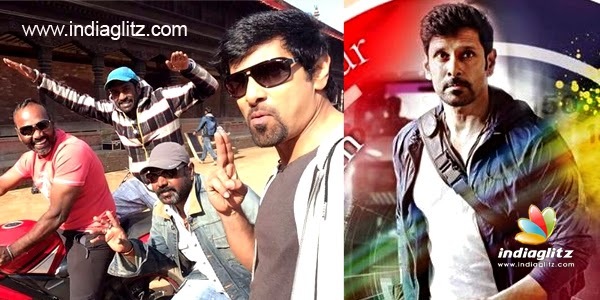 Except the climax scene, the entire shoot of Vikram-starrer '10 Enrathukulla' is over and post-production works have also started. "We need to shoot the climax in two trains and we are waiting for the permission of the Railway department," says director Vijay Milton. Samantha plays the heroine of this film, which is tipped to be a road action thriller. Music is by D Imman. Some important scenes were shot in Nepal, just days before earthquake hit the neighbouring nation. "Supreme Sundar is choreographing the climax stunt sequence and we are hoping to get the permission very soon," the 'Goli Soda' maker adds.